We also take general construction and architectural design orders. Please feel free to contact us. 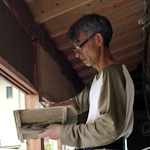 Representative Director of Tanaka Akiyoshi Sakan Co. and a Sakan Craftsman. 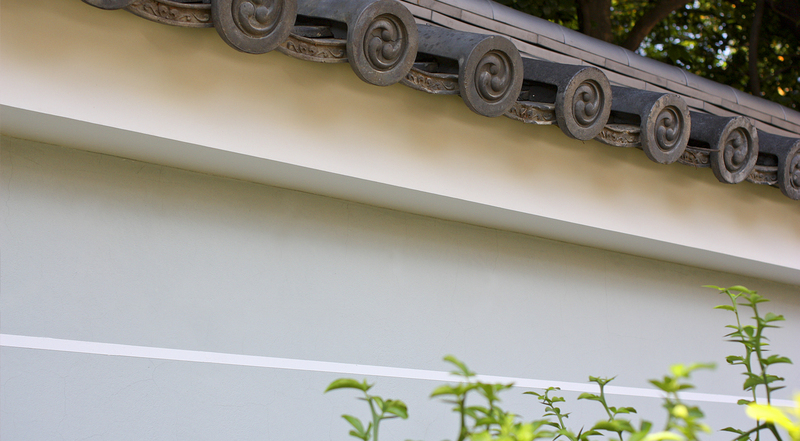 Born in the City of Kyoto and grew up in a Sakan household where his father also is a Sakan Craftsman. 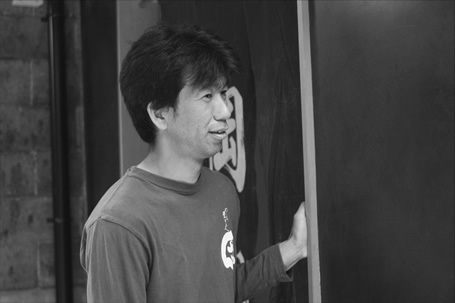 After graduating from college, he joined “Sato Sakan Industry.” Experiencing various works for 10years, he founded he’s own workshop until officially establishing Tanaka Akiyoshi Sakan Co. in 2015. Prizes : Nominee of 2nd Sakan Art Competition, etc. Top player of the company. 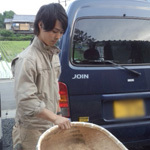 He won second place in the 47th National Plastering Competition. His adept craftsmanship truly shines. I am studying “Sakan of Kyoto”. 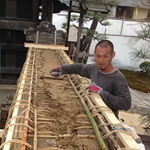 He passed Sakan Craftsman Test – Second Class. He is thin. But, his special ability is judo. He learned art in a junior college. Joined the field of Sakan and Tanaka Akiyoshi Sakan Co. in January, 2018. He has three years of experience in exterior construction at another company. 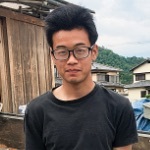 He is studying to become an excellent sakan craftsman.